One of the noblest testimonies ever uttered for the Reformation was the Protest offered by the Christian princes of Germany at the Diet of Spires in 1529. The courage, faith, and firmness of those men of God gained for succeeding ages liberty of thought and of conscience. Their Protest gave to the reformed church the name of Protestant; its principles are “the very essence of Protestantism.”—D’Aubigne, b. 13, ch. 6. 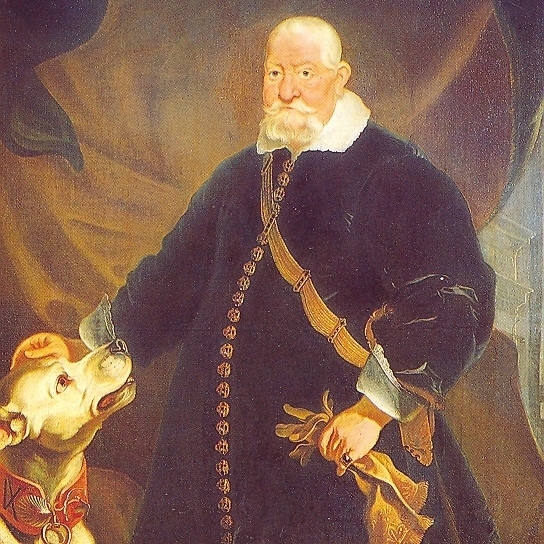 Duke John I of Saxony. A dark and threatening day had come for the Reformation. Notwithstanding the Edict of Worms, declaring Luther to be an outlaw and forbidding the teaching or belief of his doctrines, religious toleration had thus far prevailed in the empire. God’s providence had held in check the forces that opposed the truth. Charles V was bent on crushing the Reformation, but often as he raised his hand to strike he had been forced to turn aside the blow. Again and again the immediate destruction of all who dared to oppose themselves to Rome appeared inevitable; but at the critical moment the armies of the Turk appeared on the eastern frontier, or the king of France, or even the pope himself, jealous of the increasing greatness of the emperor, made war upon him; and thus, amid the strife and tumult of nations, the Reformation had been left to strengthen and extend. The papists were exultant. They appeared at Spires in great numbers, and openly manifested their hostility toward the Reformers and all who favored them. Said Melanchthon: “We are the execration and the sweepings of the world; but Christ will look down on His poor people, and will preserve them.”— Ibid., b. 13, ch. 5. The evangelical princes in attendance at the Diet were forbidden even to have the gospel preached in their dwellings. But the people of Spires thirsted for the word of God, and, notwithstanding the prohibition, thousands flocked to the services held in the chapel of the elector of Saxony. This hastened the crisis. An imperial message announced to the Diet that as the resolution granting liberty of conscience had given rise to great disorders, the emperor required that it be annulled. This arbitrary act excited the indignation and alarm of the evangelical Christians. Said one: “Christ has again fallen into the hands of Caiaphas and Pilate.” The Romanists became more violent. A bigoted papist declared: “The Turks are better than the Lutherans; for the Turks observe fast days, and the Lutherans violate them. If we must choose between the Holy Scriptures of God and the old errors of the church, we should reject the former.” Said Melanchthon: “Every day, in full assembly, Faber casts some new stone at us gospelers.”— Ibid., b. 13, ch. 5. Religious toleration had been legally established, and the evangelical states were resolved to oppose the infringement of their rights. Luther, being still under the ban imposed by the Edict of Worms, was not permitted to be present at Spires; but his place was supplied by his colaborers and the princes whom God had raised up to defend His cause in this emergency. The noble Frederick of Saxony, Luther’s former protector, had been removed by death; but Duke John, his brother and successor, had joyfully welcomed the Reformation, and while a friend of peace, he displayed great energy and courage in all matters relating to the interests of the faith. As a compromise it was finally proposed that where the Reformation had not become established, the Edict of Worms should be rigorously enforced; and that “in those where the people had deviated from it, and where they could not conform to it without danger of revolt, they should at least effect no new reform, they should touch upon no controverted point, they should not oppose the celebration of the mass, they should permit no Roman Catholic to embrace Lutheranism.” —Ibid., b. 13, ch. 5. This measure passed the Diet, to the great satisfaction of the popish priests and prelates. If this edict were enforced, “the Reformation could neither be extended . . . where as yet it was unknown, nor be established on solid foundations . . . where it already existed.”— Ibid., b. 13, ch. 5. Liberty of speech would be prohibited. No conversions would be allowed. And to these restrictions and prohibitions the friends of the Reformation were required at once to submit. The hopes of the world seemed about to be extinguished. “The re-establishment of the Romish hierarchy . . . would infallibly bring back the ancient abuses;” and an occasion would readily be found for “completing the destruction of a work already so violently shaken” by fanaticism and dissension.— Ibid., b. 13, ch. 5. As the evangelical party met for consultation, one looked to another in blank dismay. From one to another passed the inquiry: “What is to be done?” Mighty issues for the world were at stake. “Shall the chiefs of the Reformation submit, and accept the edict? How easily might the Reformers at this crisis, which was truly a tremendous one, have argued themselves into a wrong course! How many plausible pretexts and fair reasons might they have found for submission! The Lutheran princes were guaranteed the free exercise of their religion. The same boon was extended to all those of their subjects who, prior to the passing of the measure, had embraced the reformed views. Ought not this to content them? How many perils would submission avoid! On what unknown hazards and conflicts would opposition launch them! Who knows what opportunities the future may bring? Let us embrace peace; let us seize the olive branch Rome holds out, and close the wounds of Germany. With arguments like these might the Reformers have justified their adoption of a course which would have assuredly issued in no long time in the overthrow of their cause. “Happily they looked at the principle on which this arrangement was based, and they acted in faith. What was that principle? It was the right of Rome to coerce conscience and forbid free inquiry. But were not themselves and their Protestant subjects to enjoy religious freedom? Yes, as a favor specially stipulated for in the arrangement, but not as a right. As to all outside that arrangement, the great principle of authority was to rule; conscience was out of court; Rome was infallible judge, and must be obeyed. The acceptance of the proposed arrangement would have been a virtual admission that religious liberty ought to be confined to reformed Saxony; and as to all the rest of Christendom, free inquiry and the profession of the reformed faith were crimes, and must be visited with the dungeon and the stake. Could they consent to localize religious liberty? to have it proclaimed that the Reformation had made its last convert? had subjugated its last acre? and that wherever Rome bore sway at this hour, there her dominion was to be perpetuated? Could the Reformers have pleaded that they were innocent of the blood of those hundreds and thousands who, in pursuance of this arrangement, would have to yield up their lives in popish lands? This would have been to betray, at that supreme hour, the cause of the gospel and the liberties of Christendom.”—Wylie, b. 9, ch. 15. Rather would they “sacrifice everything, even their states, their crowns, and their lives.”—D’Aubigne, b. 13, ch. 5. “Let us reject this decree,” said the princes. “In matters of conscience the majority has no power.” The deputies declared: “It is to the decree of 1526 that we are indebted for the peace that the empire enjoys: its abolition would fill Germany with troubles and divisions. The Diet is incompetent to do more than preserve religious liberty until the council meets.”— Ibid., b. 13, ch. 5. To protect liberty of conscience is the duty of the state, and this is the limit of its authority in matters of religion. Every secular government that attempts to regulate or enforce religious observances by civil authority is sacrificing the very principle for which the evangelical Christian so nobly struggled. The papists determined to put down what they termed “daring obstinacy.” They began by endeavoring to cause divisions among the supporters of the Reformation and to intimidate all who had not openly declared in its favor. The representatives of the free cities were at last summoned before the Diet and required to declare whether they would accede to the terms of the proposition. They pleaded for delay, but in vain. When brought to the test, nearly one half their number sided with the Reformers. Those who thus refused to sacrifice liberty of conscience and the right of individual judgment well knew that their position marked them for future criticism, condemnation, and persecution. Said one of the delegates: “We must either deny the word of God, or —be burnt.”— Ibid., b. 13, ch. 5. King Ferdinand, the emperor’s representative at the Diet, saw that the decree would cause serious divisions unless the princes could be induced to accept and sustain it. He therefore tried the art of persuasion, well knowing that to employ force with such men would only render them the more determined. He “begged the princes to accept the decree, assuring them that the emperor would be exceedingly pleased with them.” But these faithful men acknowledged an authority above that of earthly rulers, and they answered calmly: “We will obey the emperor in everything that may contribute to maintain peace and the honor of God.”— Ibid., b. 13, ch. 5. In the presence of the Diet the king at last announced to the elector and his friends that the edict “was about to be drawn up in the form of an imperial decree,” and that “their only remaining course was to submit to the majority.” Having thus spoken, he withdrew from the assembly, giving the Reformers no opportunity for deliberation or reply. “To no purpose they sent a deputation entreating the king to return.” To their remonstrances he answered only: “It is a settled affair; submission is all that remains.”— Ibid., b. 13, ch. 5. The imperial party were convinced that the Christian princes would adhere to the Holy Scriptures as superior to human doctrines and requirements; and they knew that wherever this principle was accepted, the papacy would eventually be overthrown. But, like thousands since their time, looking only “at the things which are seen,” they flattered themselves that the cause of the emperor and the pope was strong, and that of the Reformers weak. Had the Reformers depended upon human aid alone, they would have been as powerless as the papists supposed. But though weak in numbers, and at variance with Rome, they had their strength. They appealed “from the report of the Diet to the word of God, and from the emperor Charles to Jesus Christ, the King of kings and Lord of lords.”— Ibid., b. 13, ch. 6. “For this reason we reject the yoke that is imposed on us.” “At the same time we are in expectation that his imperial majesty will behave toward us like a Christian prince who loves God above all things; and we declare ourselves ready to pay unto him, as well as unto you, gracious lords, all the affection and obedience that are our just and legitimate duty.”— Ibid., b. 13, ch. 6. “The principles contained in this celebrated Protest . . . constitute the very essence of Protestantism. Now this Protest opposes two abuses of man in matters of faith: the first is the intrusion of the civil magistrate, and the second the arbitrary authority of the church. Instead of these abuses, Protestantism sets the power of conscience above the magistrate, and the authority of the word of God above the visible church. In the first place, it rejects the civil power in divine things, and says with the prophets and apostles, ‘We must obey God rather than man.’ In presence of the crown of Charles the Fifth, it uplifts the crown of Jesus Christ. But it goes farther: it lays down the principle that all human teaching should be subordinate to the oracles of God.”—Ibid., b. 13, ch. 6. The protesters had moreover affirmed their right to utter freely their convictions of truth. They would not only believe and obey, but teach what the word of God presents, and they denied the right of priest or magistrate to interfere. The Protest of Spires was a solemn witness against religious intolerance, and an assertion of the right of all men to worship God according to the dictates of their own consciences. The declaration had been made. It was written in the memory of thousands and registered in the books of heaven, where no effort of man could erase it. All evangelical Germany adopted the Protest as the expression of its faith. Everywhere men beheld in this declaration the promise of a new and better era. Said one of the princes to the Protestants of Spires: “May the Almighty, who has given you grace to confess energetically, freely, and fearlessly, preserve you in that Christian firmness until the day of eternity.”— Ibid., b. 13, ch. 6. During the day, Grynaeus had been scandalized at a sermon by Faber, a leading papal doctor; and at the close, remonstrated with him for defending “certain detestable errors.” “Faber dissembled his anger, but immediately after repaired to the king, from whom he had obtained an order against the importunate professor of Heidelberg. Melanchthon doubted not that God had saved his friend by sending one of His holy angels to forewarn him. “Motionless on the banks of the Rhine, he waited until the waters of that stream had rescued Grynaeus from his persecutors. ‘At last,’ cried Melanchthon, as he saw him on the opposite side, ‘at last he is torn from the cruel jaws of those who thirst for innocent blood.’ When he returned to his house, Melanchthon was informed that officers in search of Grynaeus had ransacked it from top to bottom.”— Ibid., b. 13, ch. 6. Great dangers threatened the Reformation; but its advocates still trusted their cause with God, and pledged themselves to be firm to the gospel. The elector of Saxony was urged by his councilors not to appear at the Diet. The emperor, they said, required the attendance of the princes in order to draw them into a snare. “Is it not risking everything to go and shut oneself up within the walls of a city with a powerful enemy?” But others nobly declared, “Let the princes only comport themselves with courage, and God’s cause is saved.” “God is faithful; He will not abandon us,” said Luther.— Ibid., b. 14, ch. 2. The elector set out, with his retinue, for Augsburg. All were acquainted with the dangers that menaced him, and many went forward with gloomy countenance and troubled heart. But Luther, who accompanied them as far as Coburg, revived their sinking faith by singing the hymn, written on that journey, “A strong tower is our God.” Many an anxious foreboding was banished, many a heavy heart lightened, at the sound of the inspiring strains. The reformed princes had determined upon having a statement of their views in systematic form, with the evidence from the Scriptures, to present before the Diet; and the task of its preparation was committed to Luther, Melanchthon, and their associates. This Confession was accepted by the Protestants as an exposition of their faith, and they assembled to affix their names to the important document. It was a solemn and trying time. The Reformers were solicitous that their cause should not be confounded with political questions; they felt that the Reformation should exercise no other influence than that which proceeds from the word of God. As the Christian princes advanced to sign the Confession, Melanchthon interposed, saying: “It is for the theologians and ministers to propose these things; let us reserve for other matters the authority of the mighty ones of the earth.” “God forbid,” replied John of Saxony, “that you should exclude me. I am resolved to do what is right, without troubling myself about my crown. I desire to confess the Lord. My electoral hat and my ermine are not so precious to me as the cross of Jesus Christ.” Having thus spoken, he wrote down his name. Said another of the princes as he took the pen: “If the honor of my Lord Jesus Christ requires it, I am ready . . . to leave my goods and life behind.” “I would rather renounce my subjects and my states, rather quit the country of my fathers staff in hand,” he continued, “than receive any other doctrine than that which is contained in this Confession.” — Ibid., b. 14, ch. 6. Such was the faith and daring of those men of God. The appointed time came to appear before the emperor. Charles V, seated upon his throne, surrounded by the electors and the princes, gave audience to the Protestant Reformers. The confession of their faith was read. In that august assembly the truths of the gospel were clearly set forth, and the errors of the papal church were pointed out. Well has that day been pronounced “the greatest day of the Reformation, and one of the most glorious in the history of Christianity and of mankind.”— Ibid., b. 14, ch. 7. But a few years had passed since the monk of Wittenberg stood alone at Worms before the national council. Now in his stead were the noblest and most powerful princes of the empire. Luther had been forbidden to appear at Augsburg, but he had been present by his words and prayers. “I am overjoyed,” he wrote, “that I have lived until this hour, in which Christ has been publicly exalted by such illustrious confessors, and in so glorious an assembly.”— Ibid., b. 14, ch. 7. Thus was fulfilled what the Scripture says: “I will speak of Thy testimonies . . . before kings.” Psalm 119:46. In the days of Paul the gospel for which he was imprisoned was thus brought before the princes and nobles of the imperial city. So on this occasion, that which the emperor had forbidden to be preached from the pulpit was proclaimed from the palace; what many had regarded as unfit even for servants to listen to was heard with wonder by the masters and lords of the empire. Kings and great men were the auditory, crowned princes were the preachers, and the sermon was the royal truth of God. “Since the apostolic age,” says a writer, “there has never been a greater work or a more magnificent confession.”—D’Aubigne, b. 14, ch. 7. “All that the Lutherans have said is true; we cannot deny it,” declared a papist bishop. “Can you refute by sound reasons the Confession made by the elector and his allies?” asked another of Dr. Eck. “With the writings of the apostles and prophets—no!” was the reply; “but with those of the Fathers and of the councils—yes!” “I understand,” responded the questioner. “The Lutherans, according to you, are in Scripture, and we are outside.”— Ibid., b. 14, ch. 8. God’s faithful servants were not toiling alone. While principalities and powers and wicked spirits in high places were leagued against them, the Lord did not forsake His people. Could their eyes have been opened, they would have seen as marked evidence of divine presence and aid as was granted to a prophet of old. When Elisha’s servant pointed his master to the hostile army surrounding them and cutting off all opportunity for escape, the prophet prayed: “Lord, I pray Thee, open his eyes, that he may see.” 2 Kings 6:17. And, lo, the mountain was filled with chariots and horses of fire, the army of heaven stationed to protect the man of God. Thus did angels guard the workers in the cause of the Reformation. One of the principles most firmly maintained by Luther was that there should be no resort to secular power in support of the Reformation, and no appeal to arms for its defense. He rejoiced that the gospel was confessed by princes of the empire; but when they proposed to unite in a defensive league, he declared that “the doctrine of the gospel should be defended by God alone. . . . The less man meddled in the work, the more striking would be God’s intervention in its behalf. All the politic precautions suggested were, in his view, attributable to unworthy fear and sinful mistrust.”— D’Aubigne, London ed., b. 10, ch. 14. When powerful foes were uniting to overthrow the reformed faith, and thousands of swords seemed about to be unsheathed against it, Luther wrote: “Satan is putting forth his fury; ungodly pontiffs are conspiring; and we are threatened with war. Exhort the people to contend valiantly before the throne of the Lord, by faith and prayer, so that our enemies, vanquished by the Spirit of God, may be constrained to peace. Our chief want, our chief labor, is prayer; let the people know that they are now exposed to the edge of the sword and to the rage of Satan, and let them pray.”— D’Aubigne, b. 10, ch. 14. Again, at a later date, referring to the league contemplated by the reformed princes, Luther declared that the only weapon employed in this warfare should be “the sword of the Spirit.” He wrote to the elector of Saxony: “We cannot on our conscience approve the proposed alliance. We would rather die ten times than see our gospel cause one drop of blood to be shed. Our part is to be like lambs of the slaughter. The cross of Christ must be borne. Let your highness be without fear. We shall do more by our prayers than all our enemies by their boastings. Only let not your hands be stained with the blood of your brethren. If the emperor requires us to be given up to his tribunals, we are ready to appear. You cannot defend our faith: each one should believe at his own risk and peril.”— Ibid., b. 14, ch. 1. From the secret place of prayer came the power that shook the world in the Great Reformation. There, with holy calmness, the servants of the Lord set their feet upon the rock of His promises. During the struggle at Augsburg, Luther “did not pass a day without devoting three hours at least to prayer, and they were hours selected from those the most favorable to study.” In the privacy of his chamber he was heard to pour out his soul before God in words “full of adoration, fear, and hope, as when one speaks to a friend.” “I know that Thou art our Father and our God,” he said, “and that Thou wilt scatter the persecutors of Thy children; for Thou art Thyself endangered with us. All this matter is Thine, and it is only by Thy constraint that we have put our hands to it. Defend us, then, O Father!”— Ibid., b. 14, ch. 6. To Melanchthon, who was crushed under the burden of anxiety and fear, he wrote: “Grace and peace in Christ—in Christ, I say, and not in the world. Amen. I hate with exceeding hatred those extreme cares which consume you. If the cause is unjust, abandon it; if the cause is just, why should we belie the promises of Him who commands us to sleep without fear? . . . Christ will not be wanting to the work of justice and truth. He lives, He reigns; what fear, then, can we have?”—Ibid., b. 14, ch. 6. God did listen to the cries of His servants. He gave to princes and ministers grace and courage to maintain the truth against the rulers of the darkness of this world. Saith the Lord: “Behold, I lay in Zion a chief cornerstone, elect, precious: and he that believeth on Him shall not be confounded.” 1 Peter 2:6. The Protestant Reformers had built on Christ, and the gates of hell could not prevail against them.